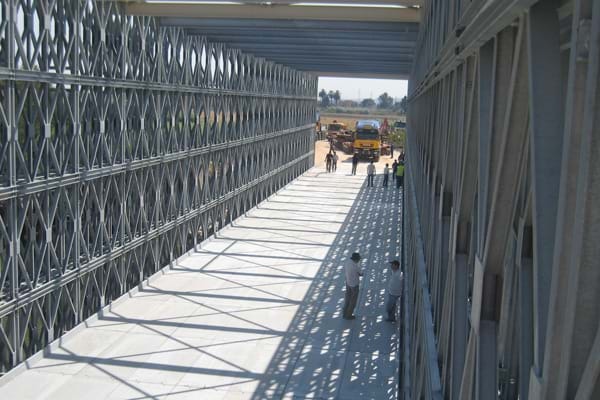 The panel bridge constructed by Waagner-Biro in Algeria has a load-capacity of 570 tonnes and was hot-dip galvanized by ZINKPOWER Brunn. The panel bridge is a modular bridge system that can be very easily adjusted to the various span widths and carriageway widths and the required load capacity, due to the field-by-field construction of modular, exchangeable elements underneath one another. Hot-dip galvanizing gives the bridge lasting protection from corrosion.